Wearing a watch that measures 51 mm x 19.95 mm requires a lot of wrist space. And a hell of a lot of panache. 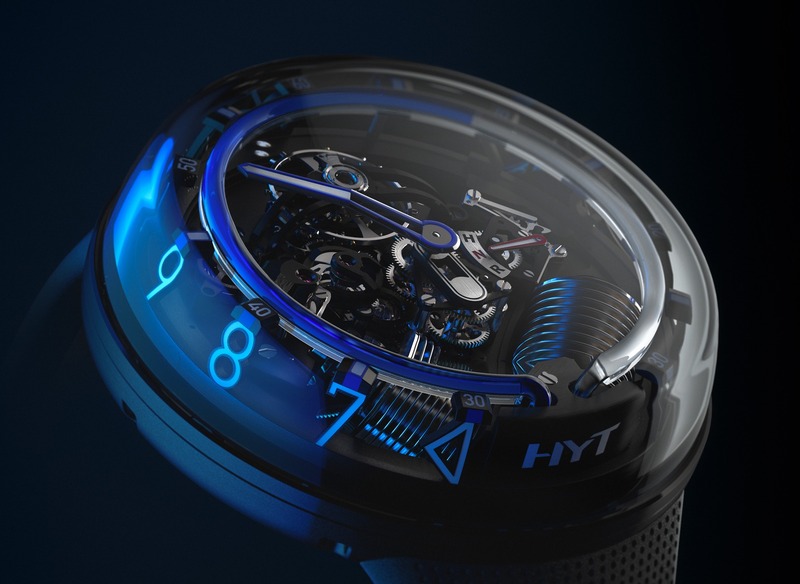 The HYT H2.0 is perhaps the most impressive HYT watch yet. It features a massive domed sapphire crystal which acts as the bezel, crystal, and case flanks all in one. 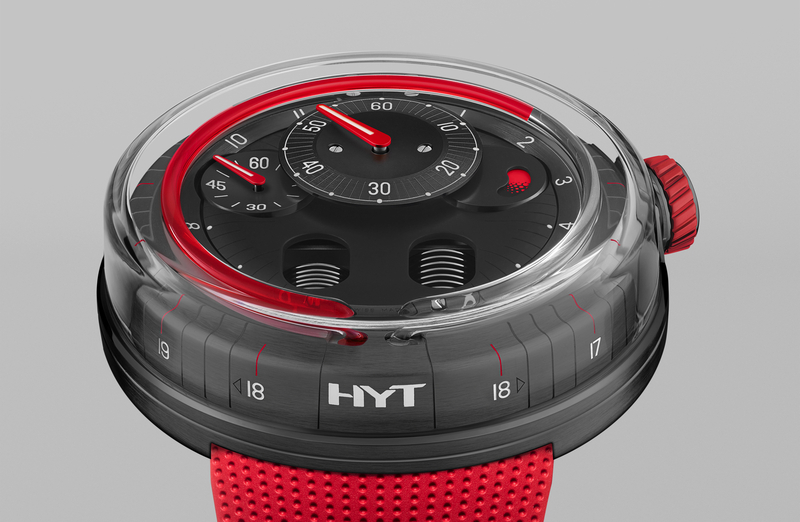 The wristwatch, like all HYT watches, tells time with a retrograde liquid display, filled and emptied by two bellows located on the lower section of the dial. 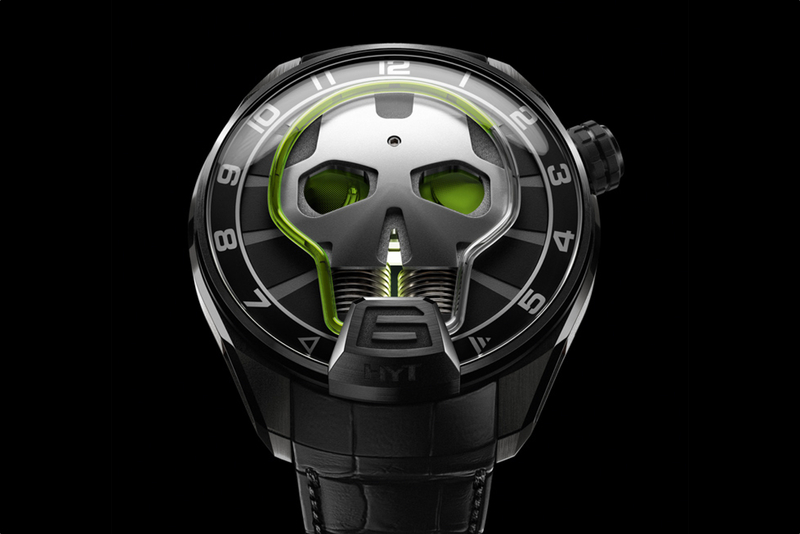 And like the HYT H0 that was introduced earlier this year, this liquid timekeeper also has vertical numerals, viewable through the sapphire crystal from the peripheral. 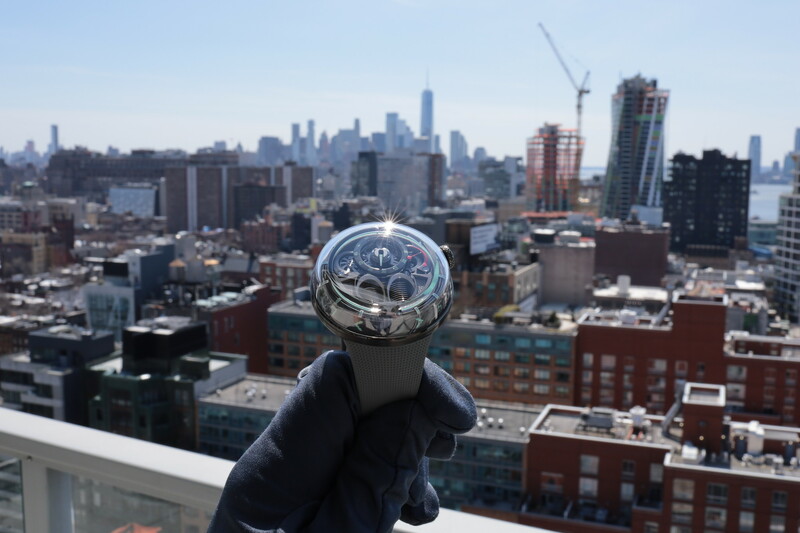 Instead of a closed dial, the H2.0 is fully skeletonized so you can see all the liquid and mechanics, as well as the free sprung balance wheel, swinging back and forth 21,600 times per hour (3Hz) at 12 o’clock. Water-resistance is 30 meters. The power reserve is 192-hours. The caseback is made of stainless steel which has a black DLC coating. Winding and time-setting are all controlled through the single crown which has a selector display at 3 o’clock. There are two versions, one in red, and one in blue. Each is limited to 10 pieces. This is for the guy who rolls up to the club in the matte black G-Wagon (or Bentayga), wears Yeezys, a Supreme t-shirt, and expensive ripped jeans. Probably tons of bracelets too. Normally a Richard Mille would do the trick, but a Mille is not conspicuous enough for everyone. Previous articleHamiltonHamilton Khaki Field Chrono worn by John Krasinski in "Jack Ryan"